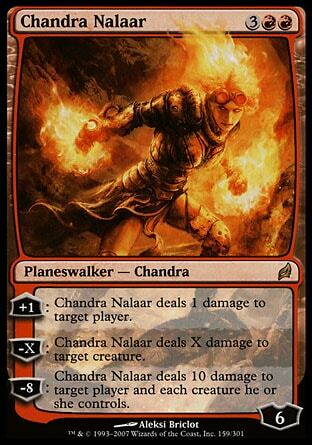 Now it's time to being the second Planeswalker Novel, The Purifying Fire, starring Chandra Nalaar. On the plane of Regatha, in Keral Keep, Chandra Nalaar basks in the adoration of a a ginger-haired boy named Brannon. She successfully retrieved a special scroll that's currently contained in the leather case in her hands. The one that all the monks are talking about. Supposedly it contains the most powerful fire spell ever known. When Brannon asks her where she got it from, she has to dodge the question because he won't understand her ability to travel to different worlds. He won't understand that the Sanctum of Stars is on another plane called Kephalai. 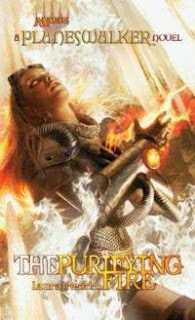 Chandra notices the boy become wide eyed, then she hears a man with glowing eyes in a cowled cloak call out her name and demands the return of the scroll. If the stranger knows about the theft, he must have come from Kephalai. 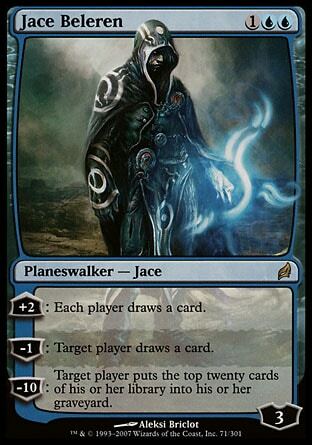 He's another planeswalker . Of course she's not going to just give up the scroll. 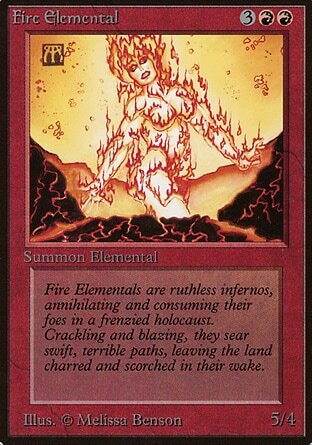 She yells at Brandon to run, then her hands burst into flame and she begins throwing fireball after fireball at him. 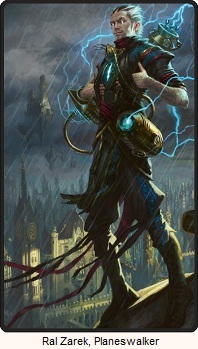 The mysterious planeswalker counters with streams of ice and temporarily paralyzes her while he digs through her mind. She can feel it and she doesn't like it very much. She channels her rage through the power of the mountains and creates one massive explosion. When the dust clears there's a hole in the wall where the man used to be. Through the hole Brannon calls out her name and she runs towards his voice trying to get him back to the safety of the monastery. Around the corner she finds him caught by the stranger, slowly being choked to death. She can't just let her friend die and so she hands over the scroll, only to find Brannon appear in the hole she just came from. An illusion! 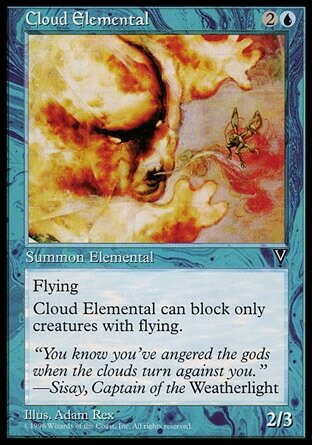 Chandra casts a spell greater than any so far, which he blocks and counters with a cloud elemental , which in turns she counters with a fire elemental . The man runs for the dropped scroll container and Chandra intercepts him and channels her energy into a powerful punch that sends him flying. Brannon yells out how amazing she is, but it's not over. He's the first to point over towards where the man fell, and now there's more than one of him. The copies of the cowled figure split and run in different directions. "He's trying to trick me. 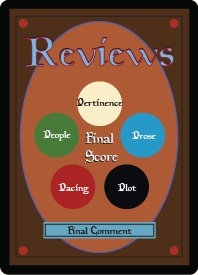 He doesn't want me to know which one is actually him," said Chandra pointing to the illusions. "Look, he's running away." "I don't think so," said the boy in a strange voice. "I think he's going to get that scroll." Brannon isn't Brannon and a mental attack knocks Chandra Nalaar unconscious. Brannon helps her up excited at the sight of seeing a fire elemental so huge. "The scroll!" Brannon said, seeing that her hands were empty. "Where's the scroll?" "What are you talking about, Brannon?" "He got it. He must have taken it!" "I know you said the monks finished their work. But don't we need it anymore?" he asked. 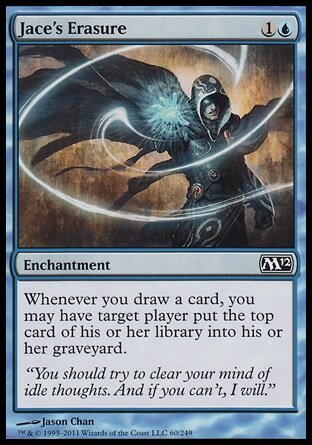 Chandra doesn't know what he's talking about, and she just tells him not to worry. All she cares about is that the stranger has been chased off. That's our Chandra. Her personality seems to be pretty spot in as to how I imagined it. I'd say this is a pretty good start. The big question now is how can someone like her actually compete with someone like him?